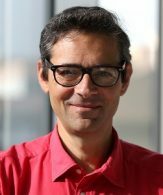 Laurent Cohen is co-leader of Physiological Investigation of clinically normal & impaired cognition team at the ICM. He is Professor of neurology at the Pitié Salpêtrière hospital and University of Paris. He received a MD in 1988 and a PhD in Cognitive Science in 1994. He is currently on the Scientific Committee of the Fyssen Foundation and the NRJ Foundation.